Halcyon Future: I'm Never Taking Them Off. 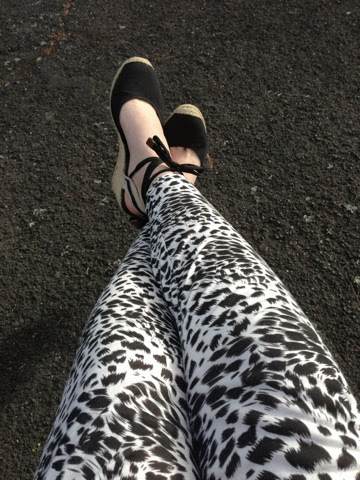 Thought I'd share one of my favourite buys from the other day with you - these black and white animal print harem trouser from Ally Fashions. Now I really wasn't a fan of harem trousers before, but after wearing them all day I am a serious convert. So much so that I'm even insisting on wearing them to go out tonight for dinner and drinks. While the style is not the most flattering on the bum, they're so comfy AND a great way to wear this season's printed pant. 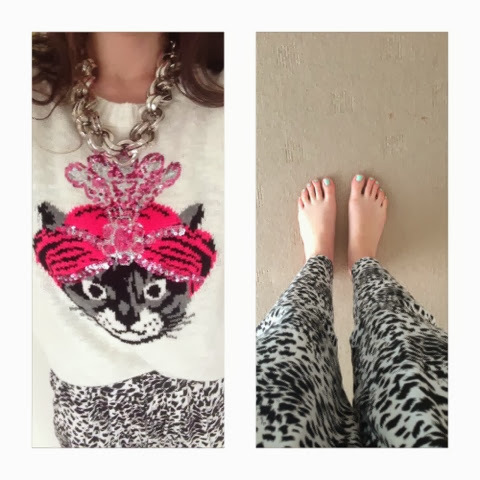 For day, I paired them with my white cat turban knit (animal print overload! ), a chunky silver chain and a pair of white converse for a sporty/playful look. 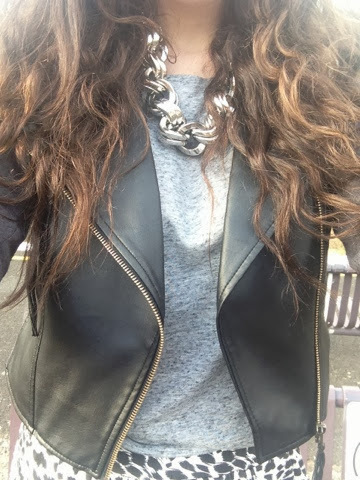 For night time I swapped the jumper for a soft grey t-shirt, leather jacket and wore my black NOVO espadrilles. I love that while they're incredibly comfy, they're also versatile, working both day and night. I'd love to get a gorgeous black or white silk cami to really glam it up for the evening. The best thing though? They only cost $19.99! Bargain.